Signalling, tracks and overhead wires will be upgraded on the Los Angeles Metro’s Blue line as part of a $350 million project launching in January. 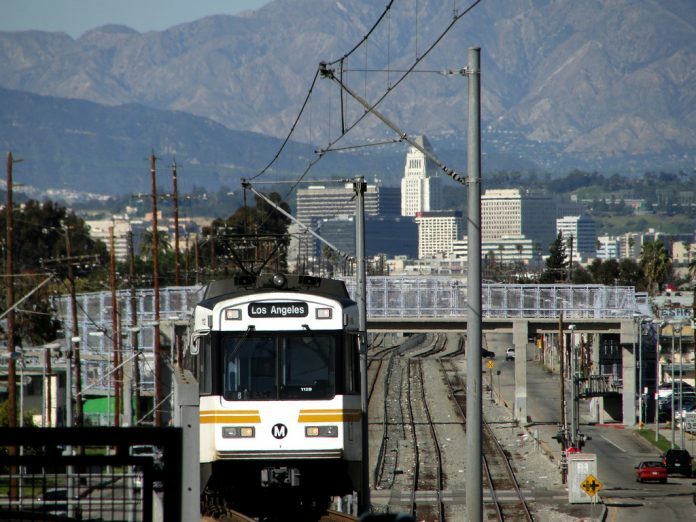 Announcing the programme – named ‘New Blue’ – the Los Angeles County Metropolitan Transportation Authority (Metro) said the works will improve reliability, safety and the customer experience. As a result of the work – which also includes the construction of four new crossover tracks and station improvements – sections of the line will be temporarily closed for two extended four-month periods next year. In addition, Blue line services to Willowbrook/Rosa Parks station will be closed for eight months as the station – one of the LA Metro’s busiest – will be rebuilt to create more capacity and a new plaza. The station’s safety and security systems will also be upgraded. Green line services will operate normally at Willowbrook/Rosa Parks station during the closure. Engineers began modernising the Blue Line – the oldest on the LA Metro – in 2014 with a series of safety and operational improvements. Click here to find out more about the expected disruptions on the Blue Line.